About: Roshanna Beard, The Tech Equalizer! Roshanna hasn’t always been the teacher championing tech for all students but after participating in a WFSU (her local station) Family Creative Learning workshop with her pre-school aged son, she knew coding could be life changing for all students. She and her local station worked their powers to bring coding to her classroom through PBS KIDS ScratchJr. 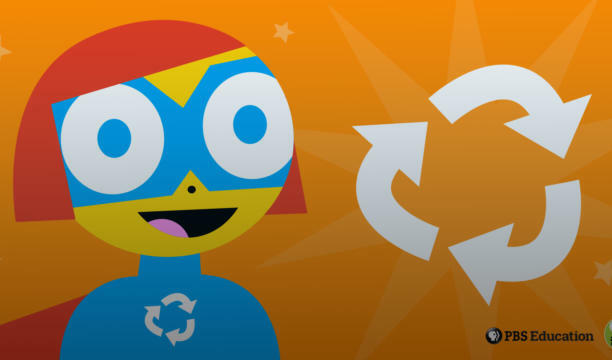 She uses her superhero-like personality and ScratchJr. to help students of all ages take control of their learning, build valuable 21st century skills, and tell some pretty super stories. To learn more about Roshanna visit this WFSU blog. Roshanna Beard is one of those glowing teachers you come across now and then who immediately show you how much she cares for her students and her work. She has jumped on every opportunity to work with our team when we come to visit Apalachee Elementary, where she teaches 4th grade, and where her son Christopher attends Kindergarten. The way she speaks about her passion for not only teaching but truly supporting her students in any way that she can is inspiring. When you ask 4th graders about their favorite Superheroes, most respond with the superheroes they currently see featured on TV or in the movies. Fourth graders at Apalachee Elementary may not realize, however, that their teacher is a true teacher superhero. After participating in a WFSU workshop, Roshanna worked hard to bring coding and technology to all of the students at her school. Despite her son Christopher (in preschool at the time) falling below the target age range for the PBS KIDS ScratchJR Family & Community Learning Workshop, Roshanna was able to slip him into the group due to her status as a teacher at the school. Christopher has since mastered the app, which Roshanna views as a perfect alternative to less age-appropriate and educational video games. Seeing how engaged he was in the creative process of coding his own stories using PBS KIDS characters, Roshanna quickly realized the potential the app has – not only for STEM integration, but also literacy and comprehension – and pushed the school to remote drop the app to all of the tablets at Apalachee Elementary, a Title 1 school. Roshanna has since pushed to involve her son in every WFSU (Florida PBS affiliate) program offered at the school, and in her classroom, she uses the arsenal of Accelerated Reader (AR) books and projects that he has been shown not only via PBS KIDS ScratchJR programming but also the new Ruff Ruffman Sensational Science Camp, part of the Ready To Learn initiative. By using these PBS KIDS STEM properties in her classroom, Roshanna is bringing to light for her students the fundamentals behind the jobs of the future, extending the reach of PBS KIDS content into the school’s community.